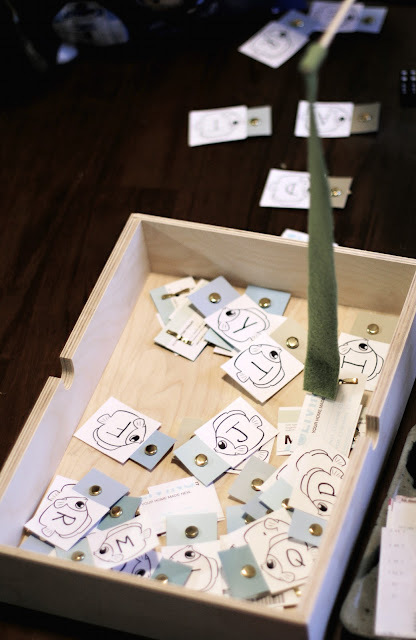 I'm often trying to reinvent new games to play with my boys that are educational, fun and non-electronic! This game incorporates math, spelling and writing! 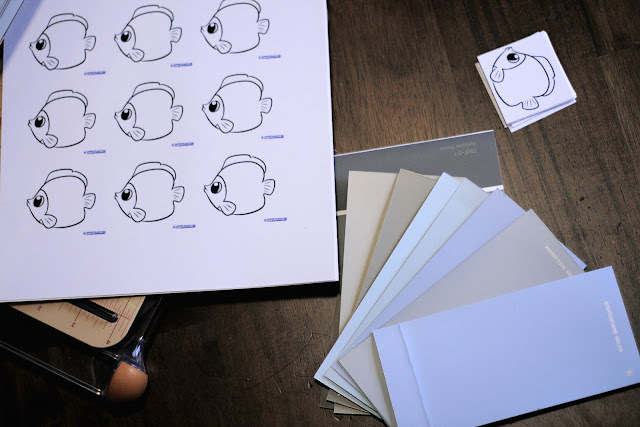 First I printed fish from this PDF file onto card stock, and adhered them on paint samples that I had leftover from the living room paint decision. On each fish I wrote a letter of the alphabet, I also included some additional letters that are popular (vowels, S, N, G, R, T) to make longer words. I then hole punched the end of each chip and put a brass fastener on each end, I had these on hand if you don't have them you could also use paperclips. I used a dowel rod as the fishing line and cut a strip of fleece and hot glued it to the dowel rod. On the other end of the fleece I hot glued a magnet. 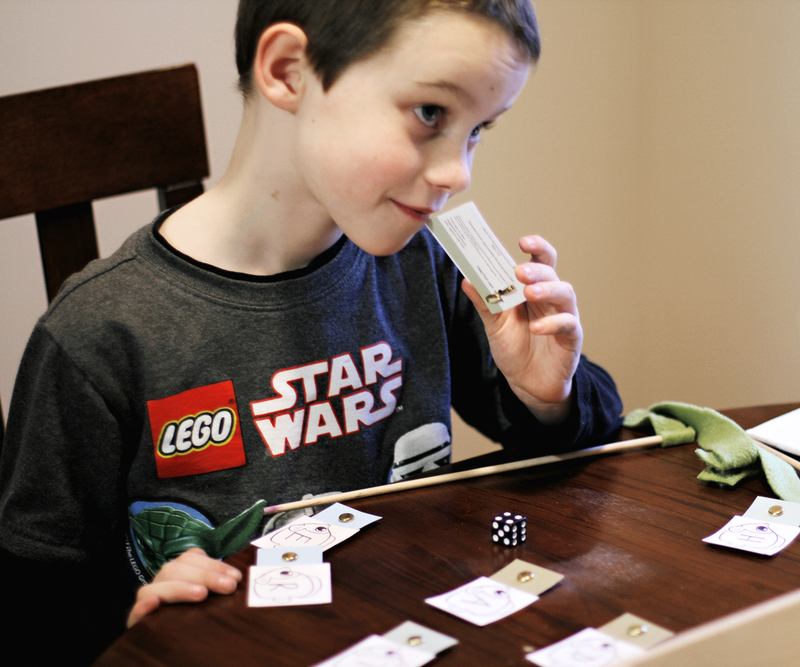 To play the game the child rolls a dice two times, adding the numbers together to get the number of fish that he should try and get on his fishing rod. Once he has the letters he should lay them out in front of him and try and see how many words he can create with those letters. 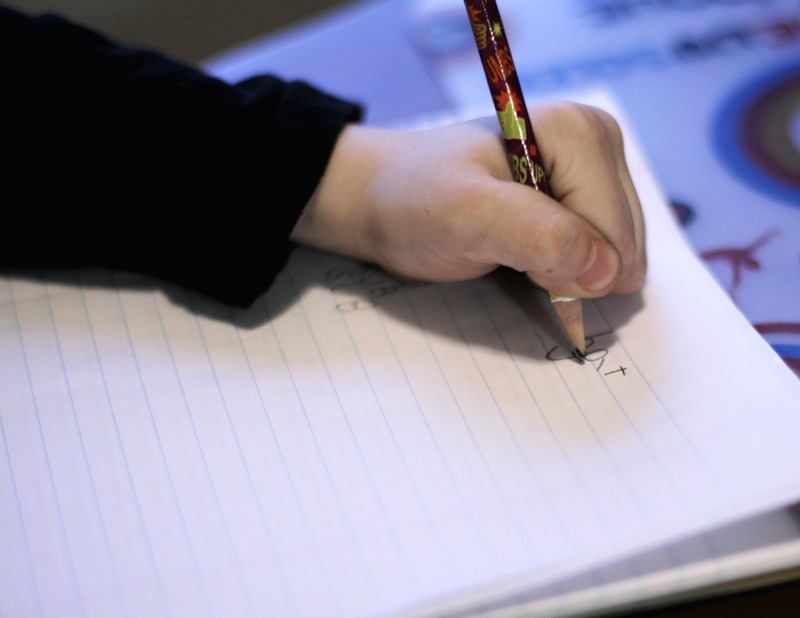 Write each word on a piece of paper. If two children are playing the child who makes the most words out of the selected letters "wins". I love that this game can be played solo or in a group. I'm going to make a set to give to each of the boys' teachers as gifts. I think any classroom would enjoy this during indoor recess or "specials". Wow Gretchen this is really a nice game. I am sure the teachers will love this game.